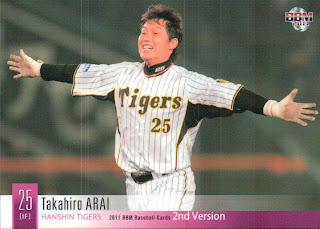 There are 25 26 players who appear on the "regular" 2nd Version set but did not appear in the 1st Version set: Yudai Kawai (Dragons), Koji Mise(Dragons), DJ Houlton (Hawks), Sho Iwasaki (Hawks), Randy Messenger (Tigers), Takahiro Aoki (Carp), Yoshihiro Maru (Carp), Keisuke Tanimoto (Fighters), Tomoya Yagi (Fighters), Makoto Moriyama (Buffaloes), Yuki Nishi (Buffaloes), Koji Yamasaki (Buffaloes), Hideto Asamura (Lions), Atsushi Okamoto (Lions), Ryo Sakata (Lions), Masato Nakamura (Eagles), Shinbtaro Ejiri (BayStars), Kazuya Fujita (BayStars), Takeshi Hosoyamada (BayStars), Tatsuhiko Kinjoh (BayStars), Hiroki Sanada (BayStars), Yuki Yoshimura (BayStars), Levi Romero (Giants), Takahiro Suzuki (Giants), Yasunari Takagi (Giants) and Kazunari Tsuruoka (Giants). Oddly enough, three of the players featured in the 1st Version Update have "regular" 2nd Version cards as well - Yoshihiro Maru, Yuki Nishi and Hideto Asamura. As always, I have no idea how BBM determines who gets an Update card and who gets a "regular" 2nd Version card. All the cards in the set can be seen at Jambalaya's web site. Bizarre news out of Nagoya this week: the Dragons will not re-up the contract of manager Hiromitsu Ochiai after the season and instead will bring back Morimichi Takagi for a third time (Takagi was interim manager in 1986 and also ran the team from 1992 to 1995). 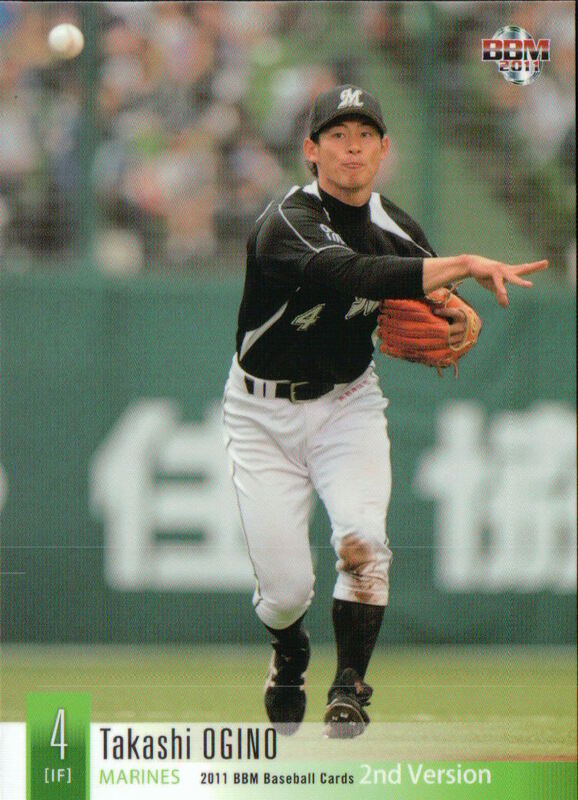 At 70, Takagi will be the second oldest manager in NBP history, following Katsuya Nomura. 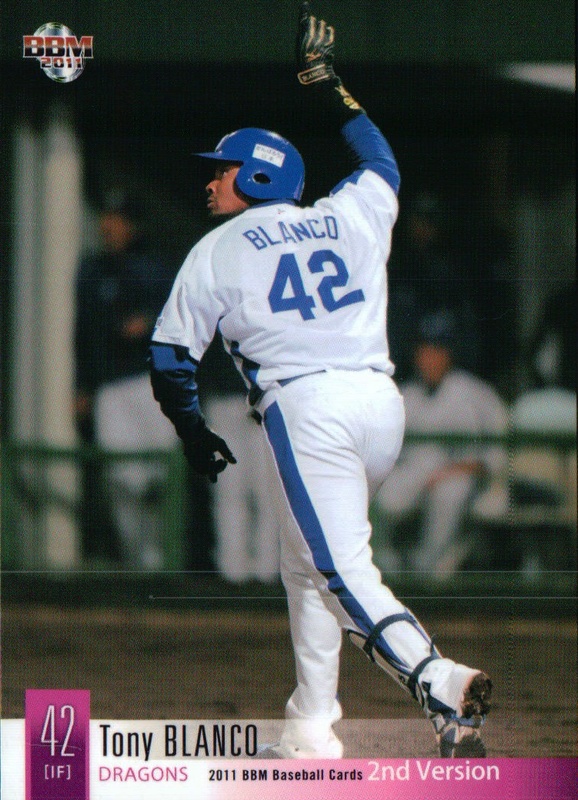 Ochiai has managed the Dragons since 2004 and has taken them to the Series four times in the seven complete seasons, winning the Series in 2007 (Chunichi's first championship since 1954). 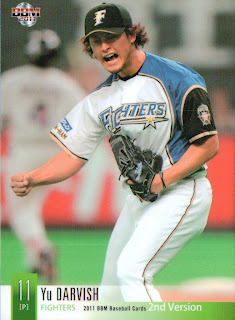 He's finished second twice and third once in the other seasons and has the Dragons poised for the playoffs again this year. Chunichi has explained the move by saying that Ochiai has a high salary and the team hasn't been profitable during his time as manager. My take would be that if the Dragons haven't been profitable during the most successful (on the field) eight years in their history, someone in the marketing department needs to be fired, not the manager. Sources for this post were NBP Tracker and Yakyu Baka (this post and this post). 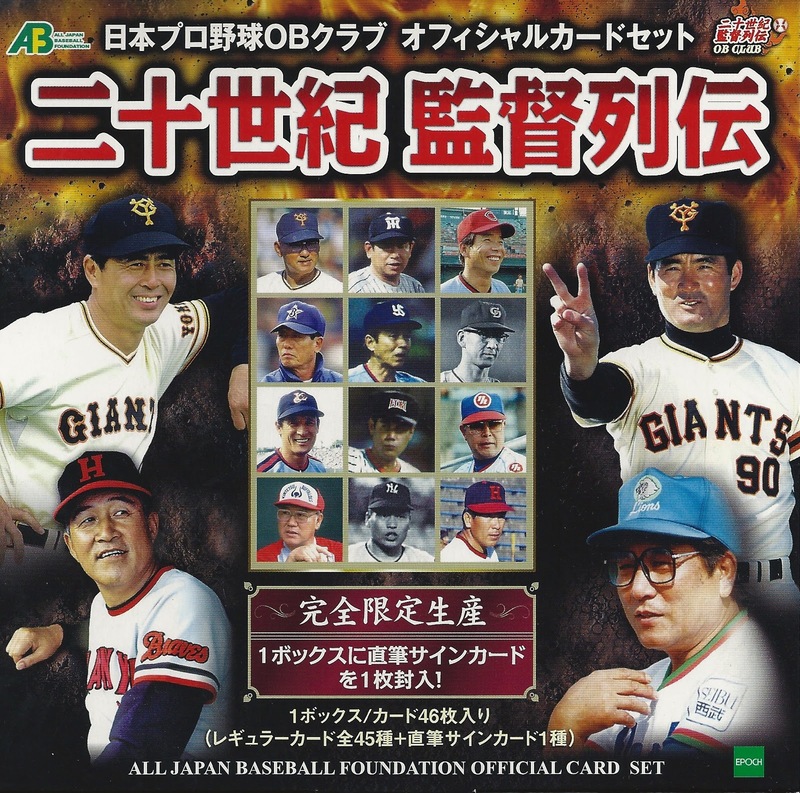 The most recent set put out by the All Japan Baseball Foundation is a box set entitled something along the lines of "Biographies Of 20th Century Managers". 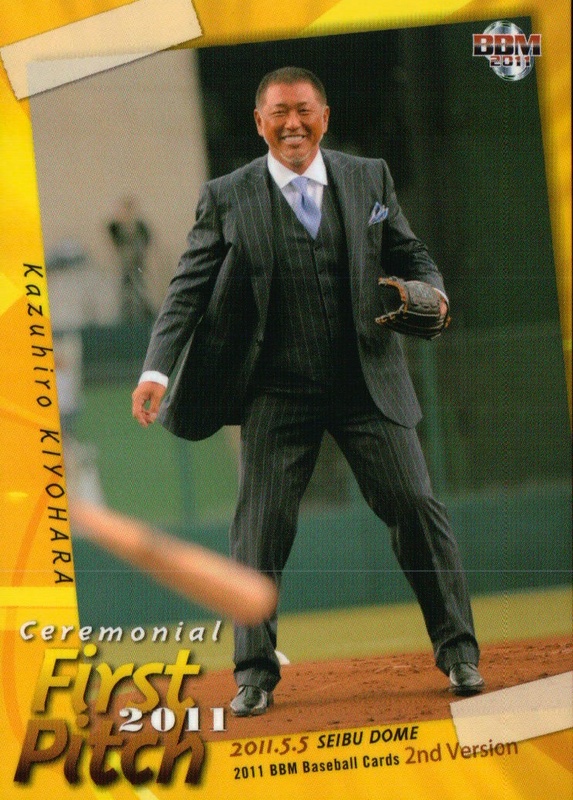 The set contains exactly that - 45 cards featuring various managers, all of whom were active last century and only one of whom (Senichi Hoshino) is active now (although Morimichi Takagi will be active next season). 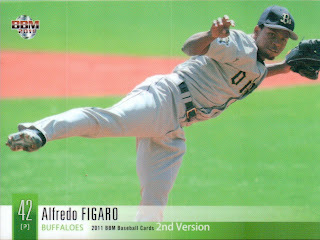 As seems to be typical with OB sets both from AJBF and BBM, the set is heavy on managers from the 70's and 80's. The earliest manager is Shigeru Sugishita, who started in 1959. 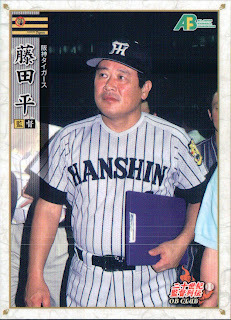 There's a handful of managers from the 60's - Tetsuharu Kawakami, Futoshi Nakanishi, Yukio Nishimoto, Akitoshi Kodama and Tsuguo Gotoh, but everyone else is later. 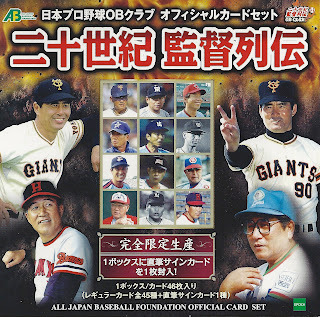 The set includes a lot of guys you would expect like Shigeo Nagashima, Sadaharu Oh (with the Giants, not the Hawks), Koji Yamamoto (both of them) and Masaaki Mori, but there were a couple somewhat surprising omissions. 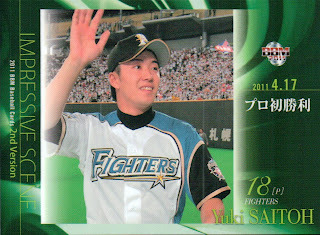 Tatsuro Hirooka, who won a couple Japan Series with the Swallows and Lions, isn't in the set. Katusya Nomura and Masaichi Kaneda, who almost never appear in OB sets, aren't in this one either. There are no foreign managers either, so no Wally Yonamine or Don Blasingame. The set is also missing Kazuhisa Inao, Motoshi Fujita and Akira Ohgi. I think the biggest omissions though are in the guys whose careers started a lot earlier. Kazuto Tsuruoka, the winningest manager ever in Japan, isn't in the set. 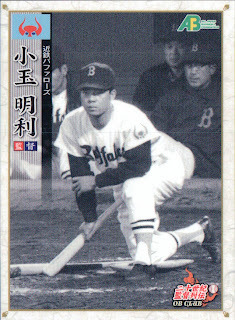 Sadayoshi Fujimoto, who managed 3200 games in a career that lasted from 1936 until 1968, isn't in the set. 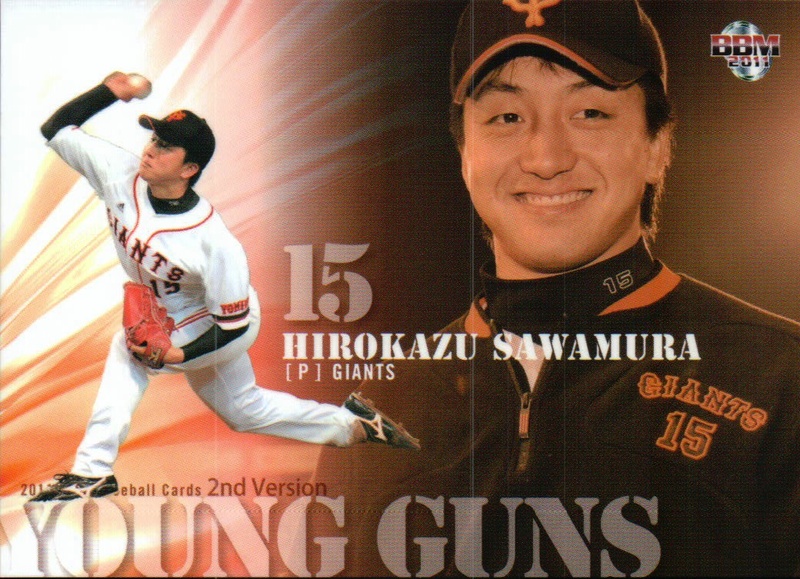 Osamu Mihara and Shigeru Mizuhara, the legendary rivals from Shikoku, aren't in the set. 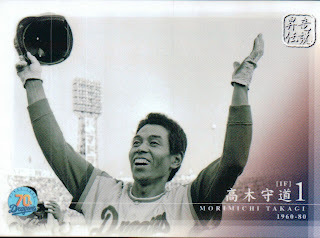 Tsuruoka, Mihara and Mizuhara won nine of the ten Japan Series between 1951 and 1960 (along with 18 of the 20 league pennants). You can see the rest of the cards at Jambalaya's web site. Almost forgot - I think the set also includes some sort of possible autograph or memorabilia card. I bought an opened box, so I didn't get one. BBM released information last week on a couple baseball-related sets: one for mascots and one for cheerleader squads. The Mascot set is called something along the lines of "Our Friends" and is a box set containing 45 "regular" cards plus an autographed version of one of the 45 cards. The Cheerleader set is a pack based set containing 155 cards (along with autographed inserts). It features the cheerleader/dance teams for nine teams - the Hawks, Lions, Fighters, Buffaloes, Eagles, Dragons, Giants, Swallows and BayStars. Both sets will be out in late October. In addition, AmiAmi and Discount Niki have information up on BBM's 2012 "Historic Collection" set. I'm not quite sure what the theme is - it looks like it's highlighting the drafts from several years but I could be mistaken. Charlie Finley had a lot of interesting ideas when he owned the A's. Some of them were good ideas - like playing World Series games at night to increase ratings. Some were not good ideas - like the orange baseballs. One of his more famous failures is the hiring of a world class sprinter named Herb Washington to be a full time pinch runner. Washington was not a "real" baseball player in that he never played baseball either professionally or in college before signing with Oakland. His lack of baseball instincts were displayed to the world in Game 2 of the 1974 World Series, when he was picked off first base by Mike Marshall of the Dodgers while representing the tying run in the ninth inning. 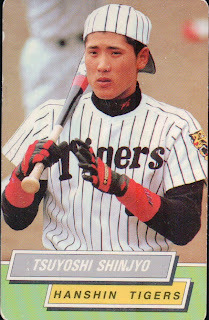 It turns out that the idea of hiring a sprinter to be a full time pinch runner for a baseball team isn't original to Finley. 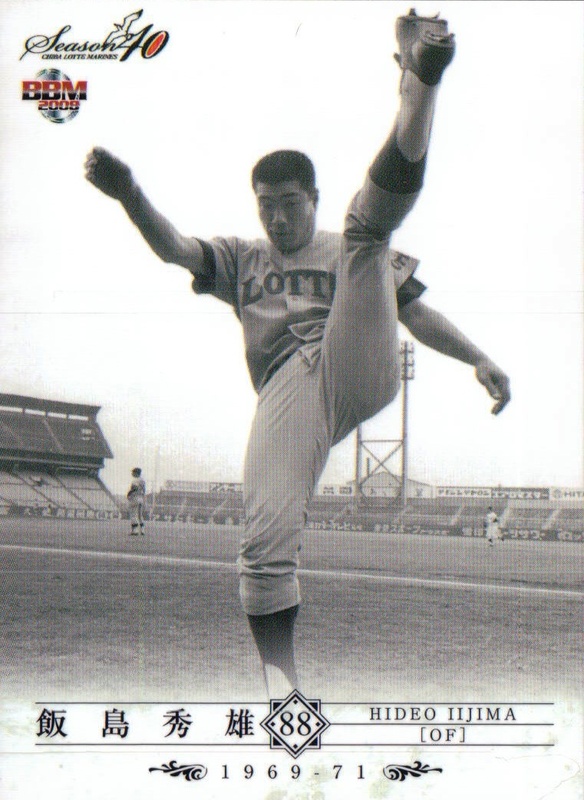 From 1969 to 1971, the Lotte Orions had a former Olympic sprinter named Hideo Iijima on the team. Iijima appeared in both the 1964 and 1968 Summer Olympics and appeared in 117 games over three seasons for the Orions. 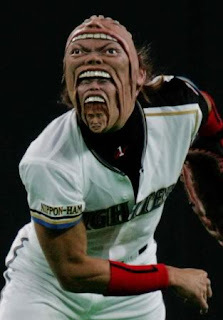 I don't know for sure, but I suspect that his baseball skills beyond his raw speed were not much different from Washington's. Iijima scored 46 runs in those 117 games and stole 23 bases in 40 attempts (a 57.5% success rate). Washington scored 33 runs in 105 games and stole 31 bases in 48 attempts (a 64.6 % success rate). According to this article at the Baseball Analysts, you needed to be stealing bases with a success rate somewhere in the high 70's during the 1970's in the US to be helping the team, so it looks like Washington was not helping the A's. I don't what the break-even point was in Japan but I suspect that it was somewhat lower - but probably not enough that Iijima was helping the Orions. 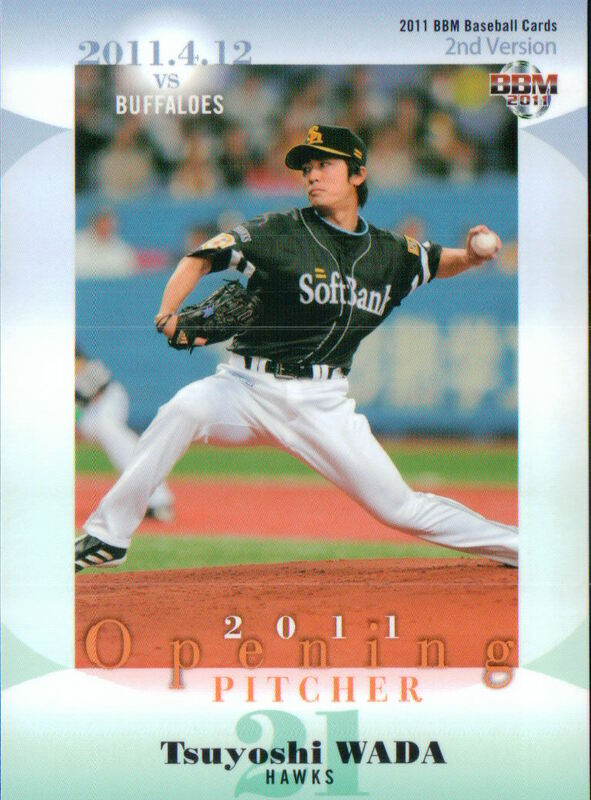 Given that there really wasn't anyone making cards when Iijima was playing, this may be the only card ever produced for him. The big game in Japan yesterday was the first pro match up of Masahiro Tanaka of the Eagles and Yuki Saitoh of the Fighters, who last met in a memorable final of the 2006 Summer Koshien tournament. That game ended as a 1-1 tie that both pitchers went the distance in. 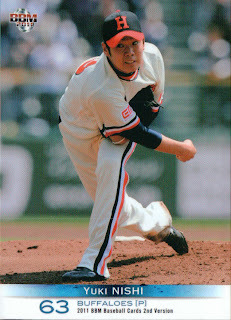 Saitoh came back the next day and pitched another complete game for the victory and the championship. This week, Calbee's website announced that this year's third series will be released on October 3. There are 72 "regular" cards in the set (6 per team) along with a couple insert/sub sets. 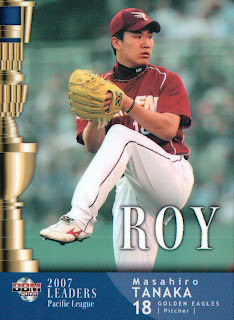 There's a 25 card All Star set featuring players from the All Star Series including the MVPs of each game. 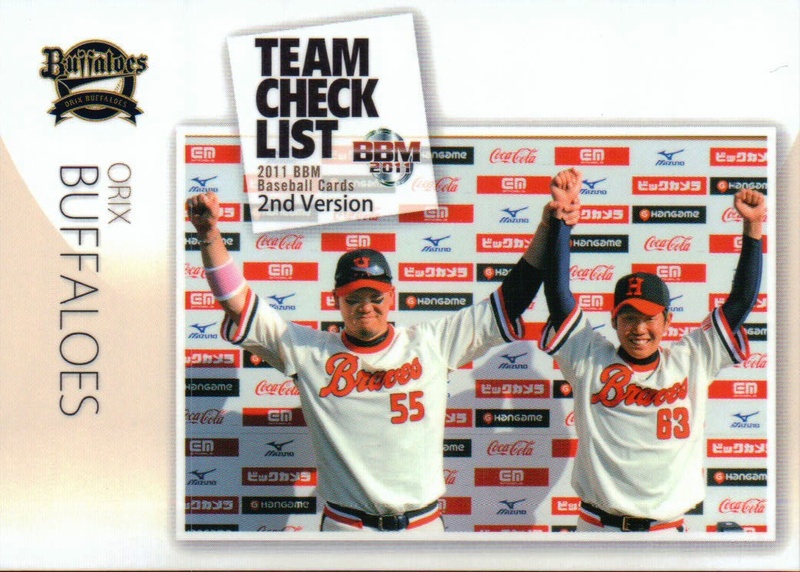 There are four checklist cards and 24 Star cards (both numbered as continuations of the respective sets in the earlier series). 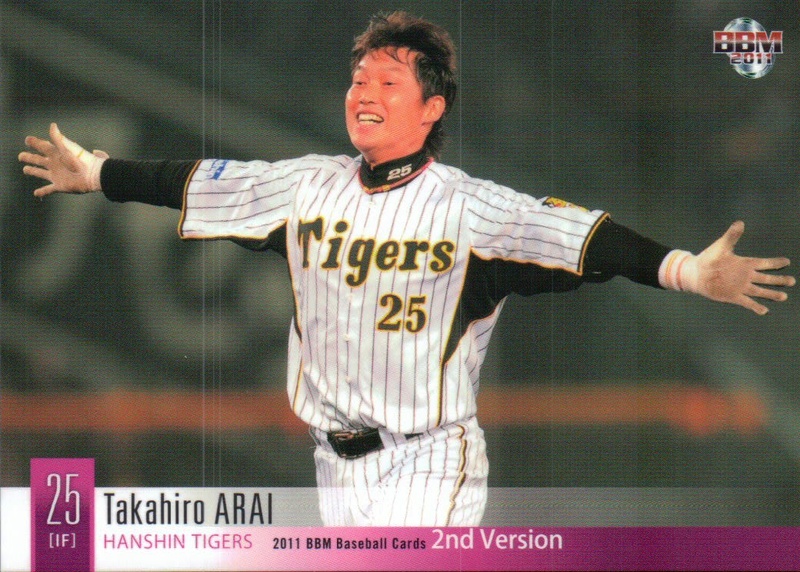 If you're thinking that this year's Calbee set seems smaller than last year's, you are correct. The total count of "regular" cards this year is 228, 60 fewer than last year. The number of subsets and insert sets is smaller this year also. I don't know if this is related to the earthquake or the economy, but BBM's 1st Version set is much smaller this year as well, so whatever the issue is, it may not be isolated to Calbee. Speaking of BBM, AmiAmi and Discount Niki are listing two new sets - a box set called "Our Friends" or "Friends Of The Ballpark Fun" featuring team mascots both past and present and a pack-based set featuring the cheerleader/dance teams for each team. 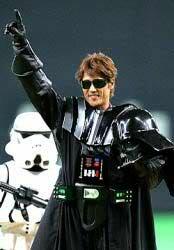 He certainly makes a better Vader than Hideki Kuriyama, although I'm not sure that's one of the criteria for the managerial job. I also want to mention that somebody once promised to smack anyone who suggested that Shinjyo become the Fighters' manager, so team owner Yoshinori Okoso should consider himself warned. - some sort of Tigers flag - don't know where the image came from as I couldn't find it in the book. While I'm on the subject of Japanese baseball related t-shirts, I should mention that there's an outfit called Red Jacket Clothing that sells a handful of NBP related t-shirts. It's a mixture of modern logos (Giants, Carp, Lions) and some older ones (Whales, Hanyku Braves, Osaka (Nankai) Hawks). It's one of the few options for those of us a little larger than the average Japanese person and probably a bit cheaper to boot. 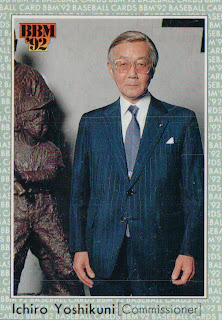 Former NBP Commissioner Ichiro Yoshikuni passed away yesterday at age 95. 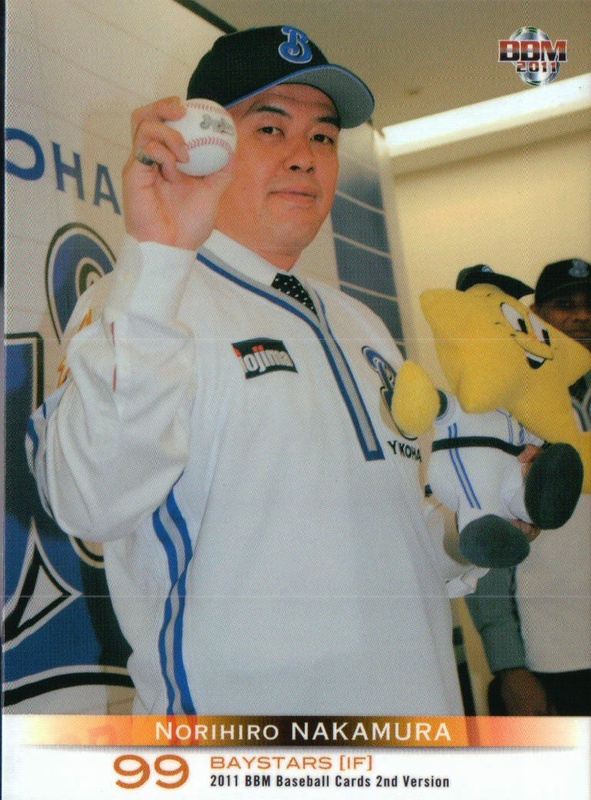 Yoshikuni held the post from 1989-98, the longest stretch of time that anyone has been in office.